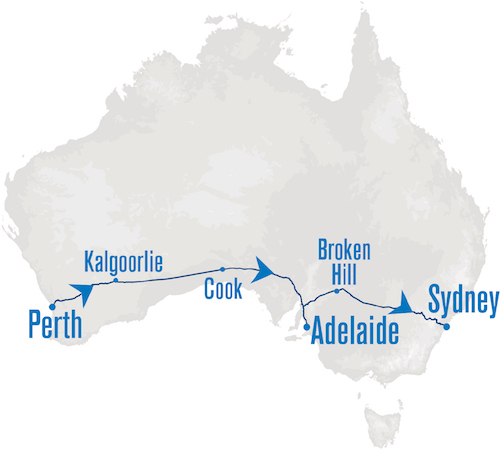 The Indian Pacific is one of the worlds great rail journeys. It travels the 4,352 kms from Perth through Adelaide to Sydney. During your time aboard the Indian Pacific, all superb restaurant-quality dining and onboard beverages and off train touring are included. The Indian Pacific departs Perth weekly on Sunday mornings from East Perth Terminal.